Tetlow King Planning (TKP) gained planning permission for the first Bikram Hot Yoga Studio in the South West of England (Bikram Hot Yoga is a form of yoga conducted in a room heated to 42 degrees celsius which warms your muscles and flushes out toxins). The planning application for the change of use of an office (B1) in central Bristol to yoga studio (D2) raised objections from the Economic Development Team. 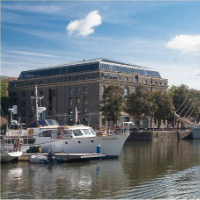 Despite this TKP were able to demonstrate that with the wealth of new offices within Bristol there was no need to retain the site in use for employment and that the provision of a D2 use within the centre of Bristol could increase vitality and interest in the area.